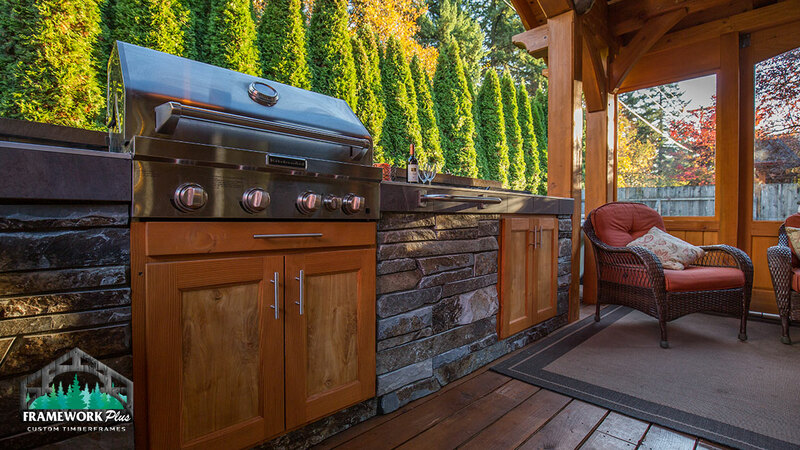 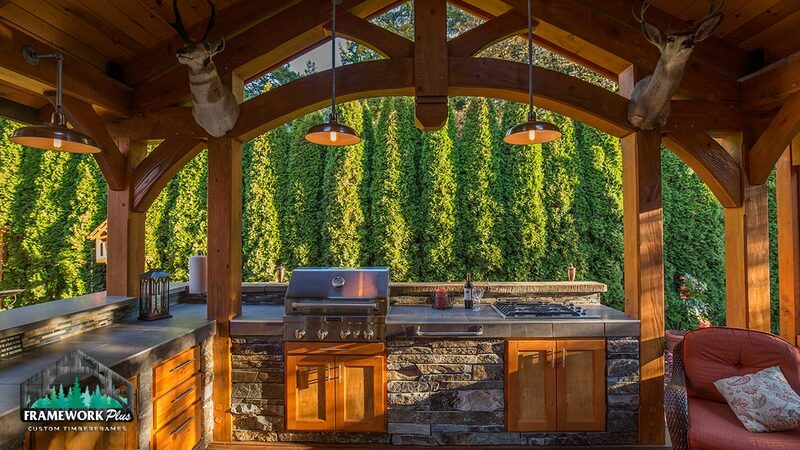 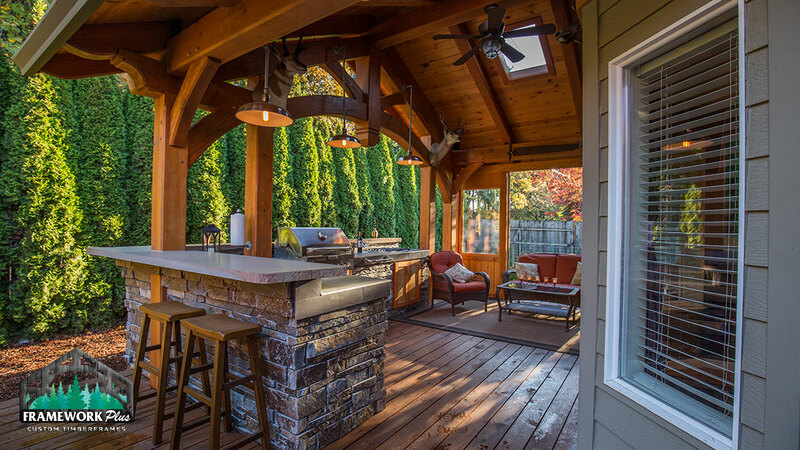 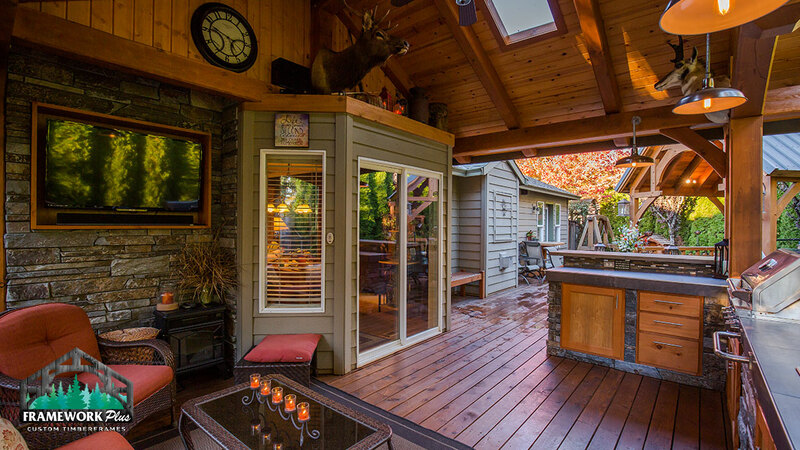 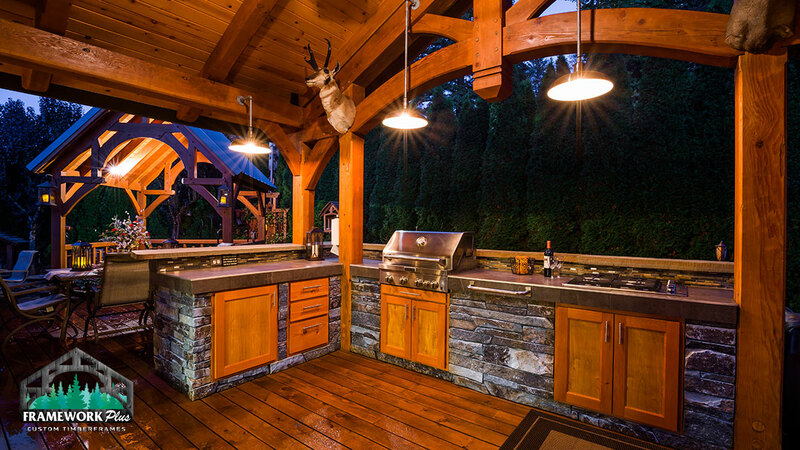 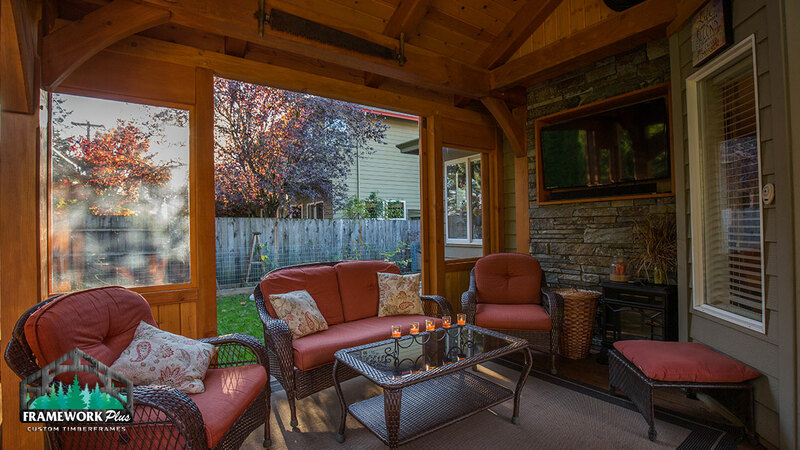 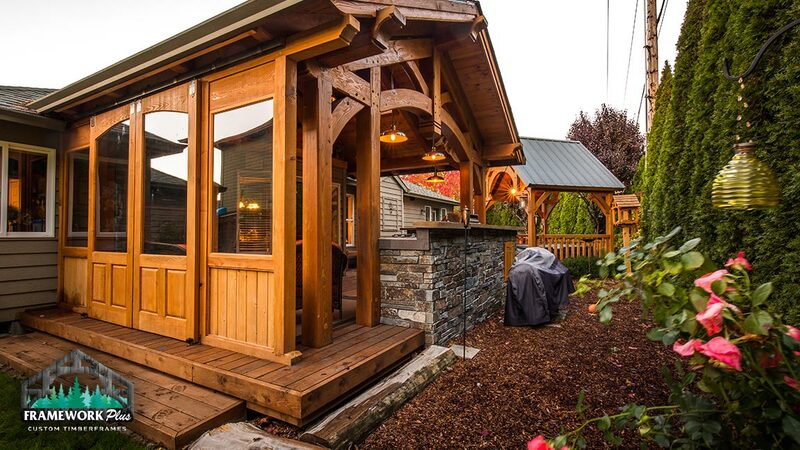 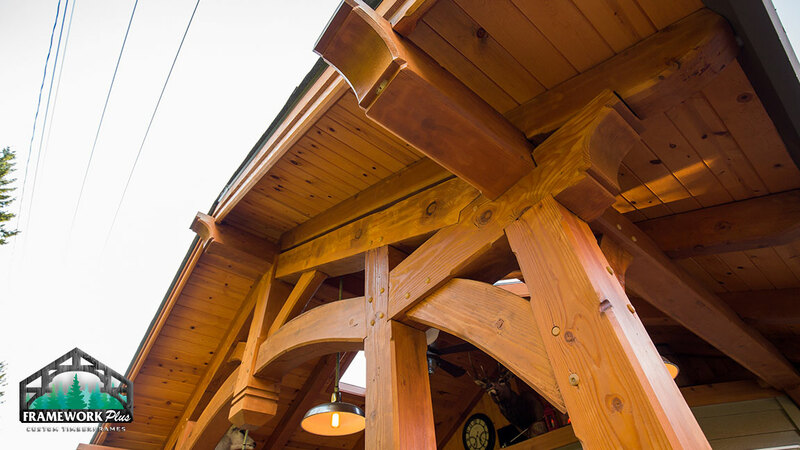 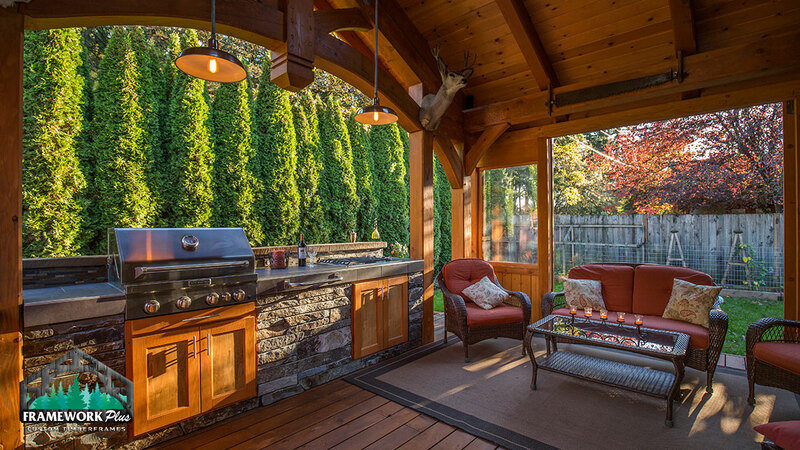 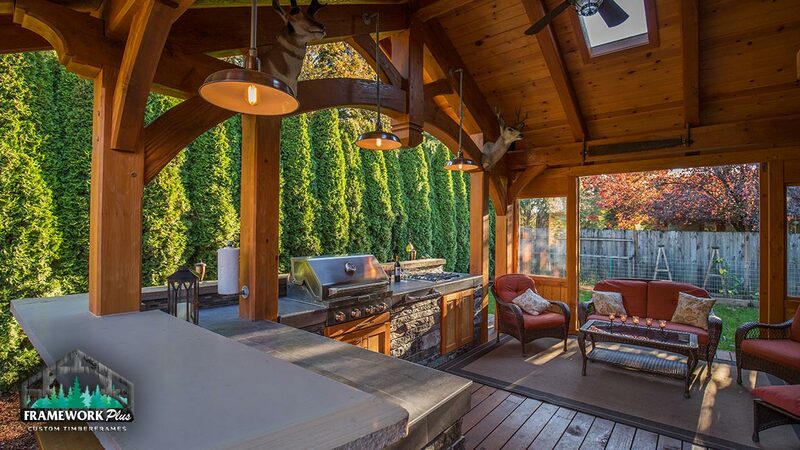 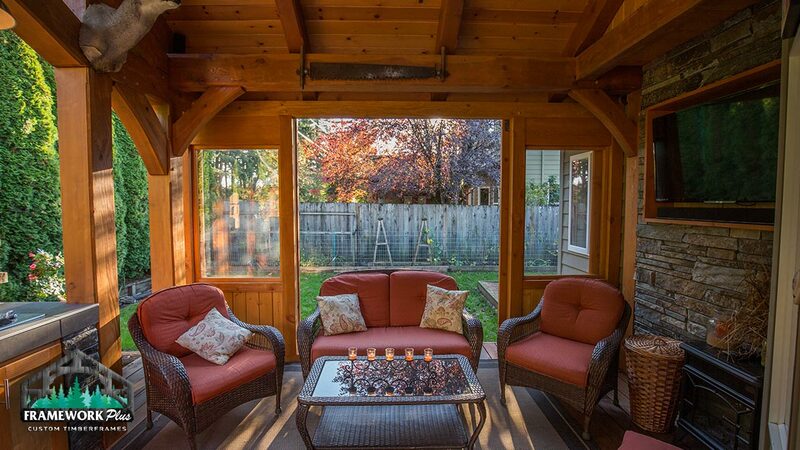 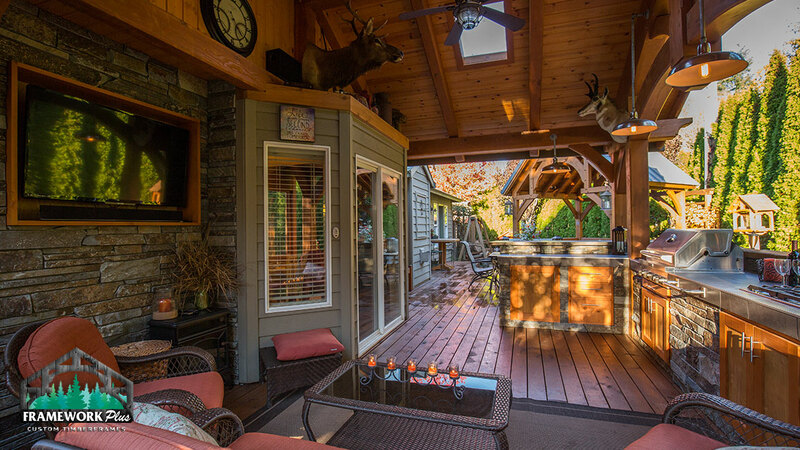 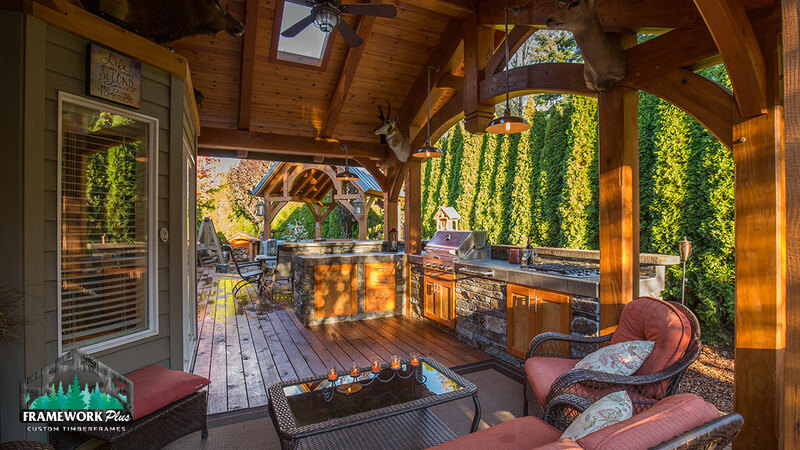 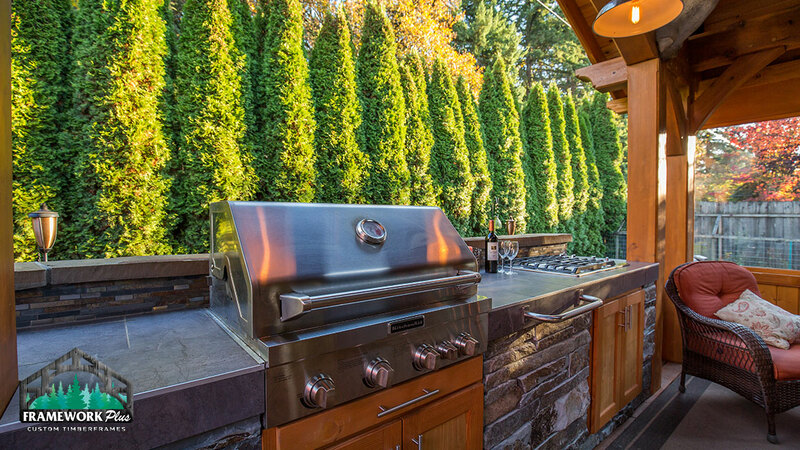 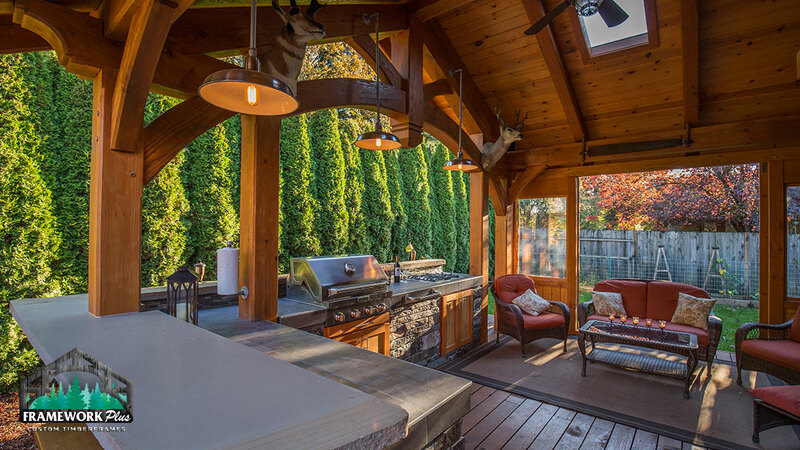 This custom attached 17’ x 12’ pavilion is the ideal outdoor living space for entertaining friends and family. 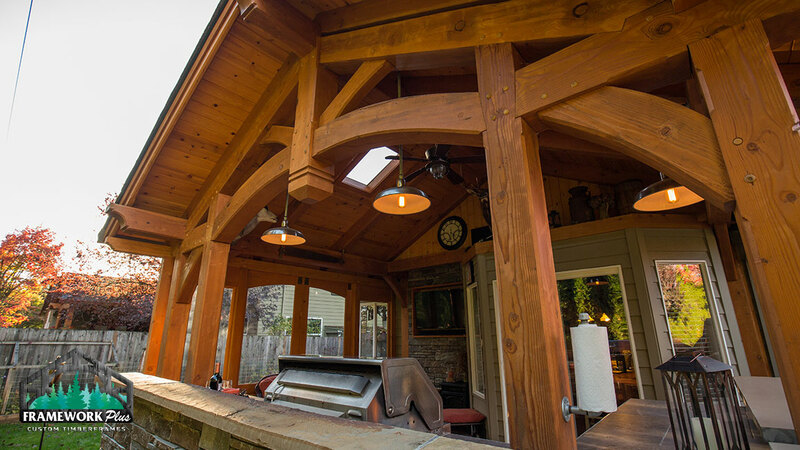 With a tongue and groove ceiling and skylights, this pavilion provides a rustic outdoor feel with protection from the elements. 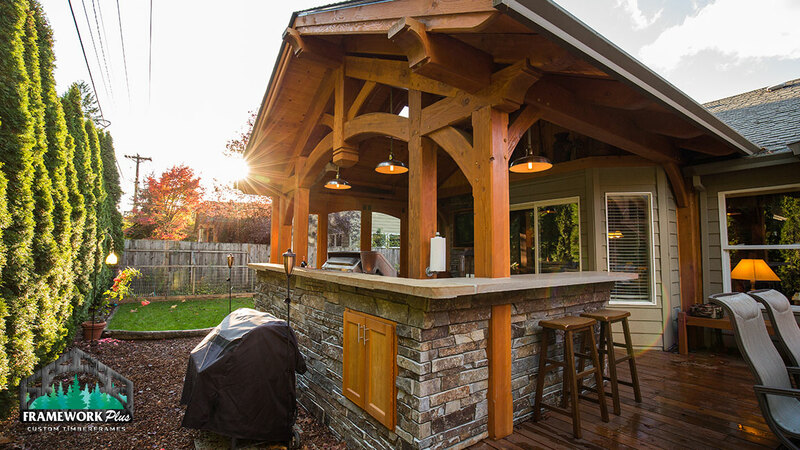 Custom features include a built-in stone kitchen, stone TV alcove and a weather wall with sliding barn doors. 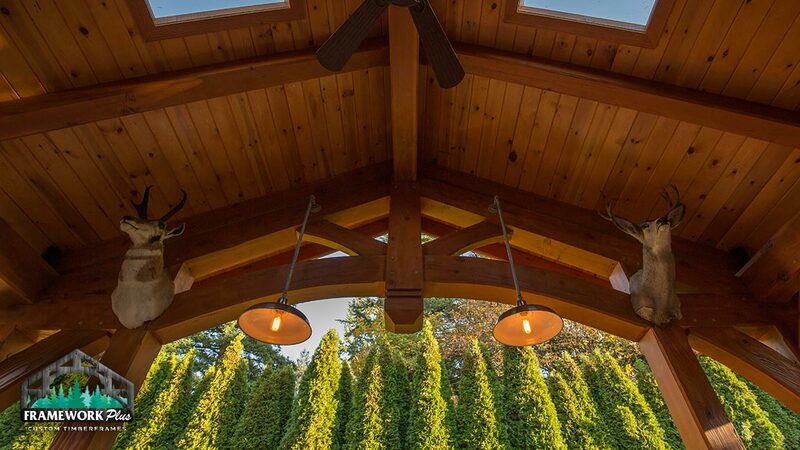 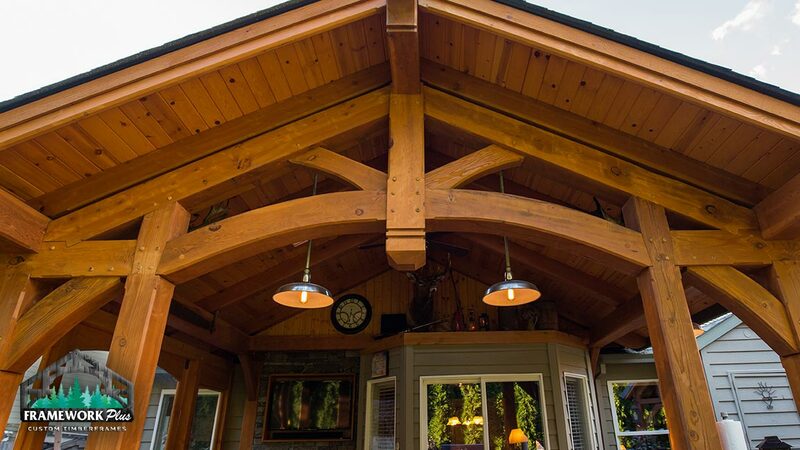 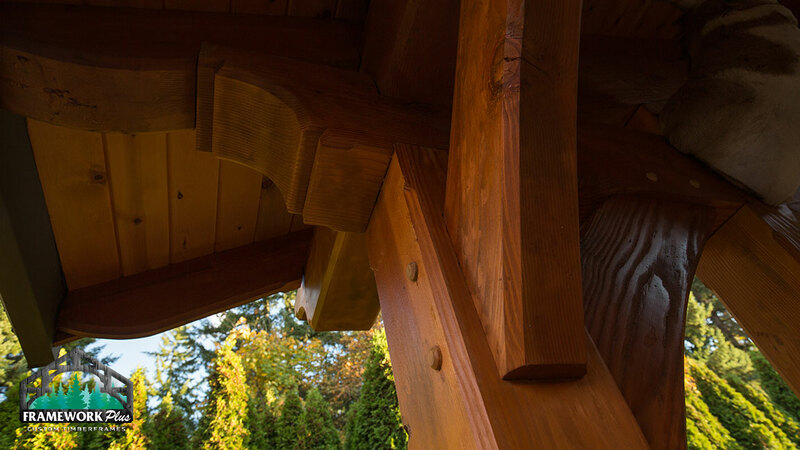 The roof matches the house and the wiring runs through posts, giving this pavilion a clean, sleek look.